It was the winter of 537 CE. The Byzantine kingdom battled abroad, unrest festered at home, the sun vanished from the sky triggering famine and desperation around the globe, and history’s first bubonic plague was about to decimate Constantinople. Justinian the Great (482–565 CE), the Byzantine Emperor of Constantinople, was led from his Royal Palace to Hagia Sophia, which had been levelled to the ground a few years earlier. It would reopen on 27 December and Justinian would be permitted to enter the magnificent house of God for the first time in months. The Emperor must have been filled with anticipation, if not apprehension, for he had watched the construction of the church from the balcony of his palace since it had been destroyed in a riot that he, in part, had caused. He entered and, like all of us who have visited this astonishing church, Justinian was stunned and awed by what he saw. ‘Solomon, I have outdone thee,’ he exclaimed, and he could not have chosen his words with more purpose. 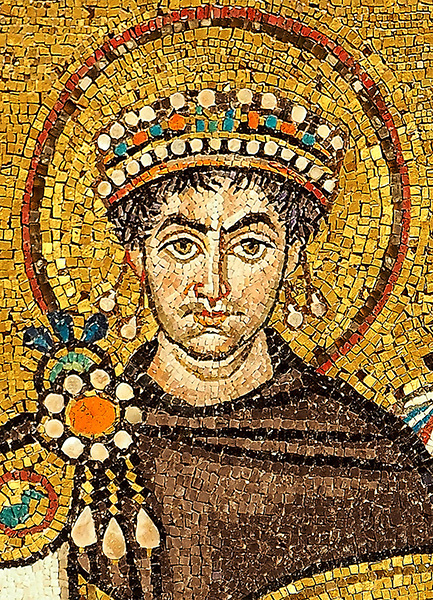 Justinian’s words, as recounted by Procopius of Caesarea (500–554 CE), the principle historian of the sixth century, have featured in countless treatments on Byzantine history. However, what scholars have neglected to consider is that Justinian’s awe, as exemplified by his reference to Solomon (circa 970 to 931 BCE – the legendary King of Israel, whose celebrated temple in Jerusalem was constructed to house the Ark of the Covenant, amongst other treasures, almost fifteen hundred years earlier) was due to the fact that Justinian had not only built a greater temple, but he was now in possession of Solomon’s lost treasure. 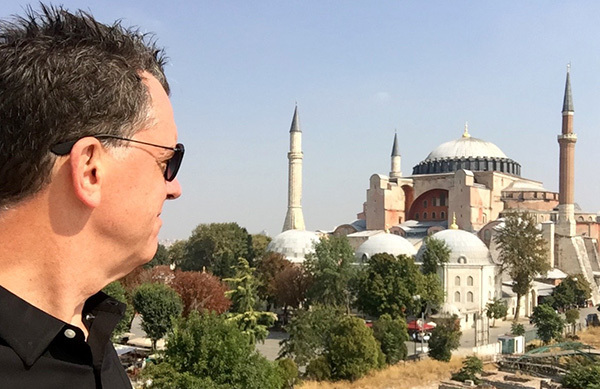 Not only does history confirm that the greatest religious relics of the ancient world were last seen in Constantinople, I believe there is evidence to suggest they remain there, in Istanbul, and may even be hidden in plain sight. The Ark of the Covenant is perhaps the most coveted religious relic from antiquity, and the most famous of Solomon’s treasures. 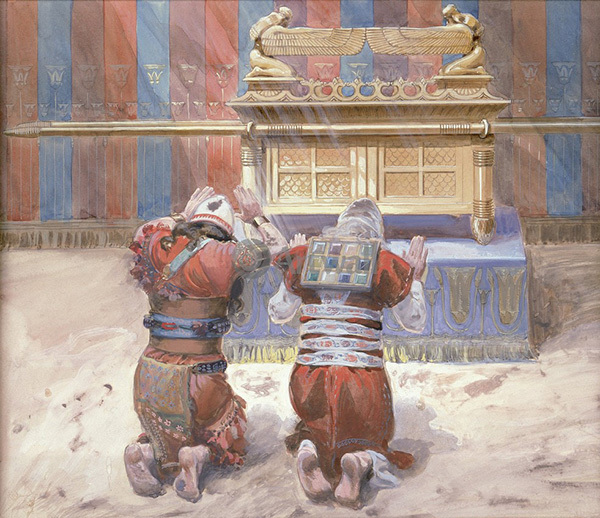 However, as the discovery of the Ark of the Covenant would create political pressures to construct the Third Temple in Jerusalem to house it, and given that the scriptures suggest that the creation of the Third Temple would herald the apocalypse, it is possible that the whereabouts of the Ark of the Covenant is known, but suppressed, for this reason. After all, nobody wants to usher in the end of the world, now do they? If the Ark of the Covenant were sitting in a museum display window or in a cathedral alcove, would we recognise it? We should, for what we have been told about its appearance is surprisingly explicit. I speak of the Book of Exodus, where we learn that it was a gold-covered wooden chest constructed by Moses, based on detailed instructions from ‘the Lord’ that read like an ancient DIY instruction manual. In addition to the Ark of the Covenant, the instructions also included the specifications for the creation of the Menorah lamp stand, as well as the Tabernacle, a stylised tent that concealed the Ark while the Israelites were encamped at the foot of Mount Sinai. 25 The Lord said to Moses: 2 Tell the Israelites to take for me an offering; from all whose hearts prompt them to give you shall receive the offering for me. 3 This is the offering that you shall receive from them: gold, silver, and bronze, 4 blue, purple, and crimson yarns and fine linen, goats’ hair, 5 tanned rams’ skins, fine leather, acacia wood, 6 oil for the lamps, spices for the anointing-oil and for the fragrant incense, 7 onyx stones and gems to be set in the ephod and for the breastpiece. 8 And have them make me a sanctuary, so that I may dwell among them. 9 In accordance with all that I show you concerning the pattern of the tabernacle and of all its furniture, so you shall make it. 10 They shall make an ark of acacia wood; it shall be two and a half cubits long, a cubit and a half wide, and a cubit and a half high. 11 You shall overlay it with pure gold, inside and outside you shall overlay it, and you shall make a moulding of gold upon it all round. 12 You shall cast four rings of gold for it and put them on its four feet, two rings on one side of it, and two rings on the other side. 14 And you shall put the poles into the rings on the sides of the ark, by which to carry the ark. 15 The poles shall remain in the rings of the ark; they shall not be taken from it. 16 You shall put into the ark the covenant that I shall give you. 17 Then you shall make a mercy-seat of pure gold; two cubits and a half shall be its length, and a cubit and a half its width. 18 You shall make two cherubim of gold; you shall make them of hammered work, at the two ends of the mercy-seat. 19 Make one cherub at one end, and one cherub at the other; of one piece with the mercy-seat you shall make the cherubim at its two ends. 20 The cherubim shall spread out their wings above, overshadowing the mercy-seat with their wings. They shall face each other; the faces of the cherubim shall be turned towards the mercy-seat. 21 You shall put the mercy-seat on the top of the ark; and in the ark you shall put the covenant that I shall give you. 22 There I will meet you, and from above the mercy-seat, from between the two cherubim that are on the ark of the covenant, I will deliver to you all my commands for the Israelites. 23 You shall make a table of acacia wood, two cubits long, one cubit wide, and a cubit and a half high. 24 You shall overlay it with pure gold, and make a moulding of gold round it. 25 You shall make round it a rim a handbreadth wide, and a moulding of gold round the rim. 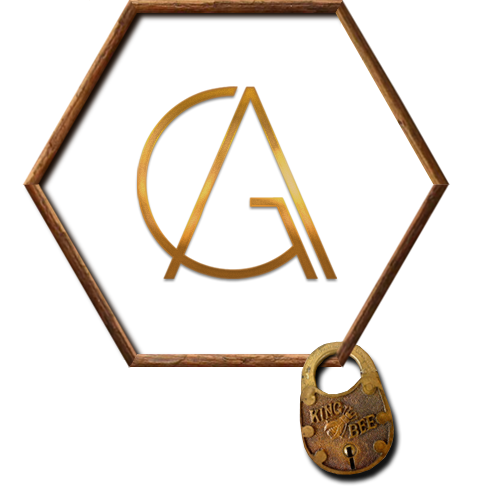 26 You shall make for it four rings of gold, and fasten the rings to the four corners at its four legs. 27 The rings that hold the poles used for carrying the table shall be close to the rim. 28 You shall make the poles of acacia wood, and overlay them with gold, and the table shall be carried with these. 29 You shall make its plates and dishes for incense, and its flagons and bowls with which to pour drink-offerings; you shall make them of pure gold. 30 And you shall set the bread of the Presence on the table before me always. 31 You shall make a lampstand of pure gold. The base and the shaft of the lampstand shall be made of hammered work; its cups, its calyxes, and its petals shall be of one piece with it; 32 and there shall be six branches going out of its sides, three branches of the lampstand out of one side of it and three branches of the lampstand out of the other side of it; 33 three cups shaped like almond blossoms, each with calyx and petals, on one branch, and three cups shaped like almond blossoms, each with calyx and petals, on the other branch – so for the six branches going out of the lampstand. 34 On the lampstand itself there shall be four cups shaped like almond blossoms, each with its calyxes and petals. 35 There shall be a calyx of one piece with it under the first pair of branches, a calyx of one piece with it under the next pair of branches, and a calyx of one piece with it under the last pair of branches – so for the six branches that go out of the lampstand. 36 Their calyxes and their branches shall be of one piece with it, the whole of it one hammered piece of pure gold. 37 You shall make the seven lamps for it; and the lamps shall be set up so as to give light on the space in front of it. 38 Its snuffers and trays shall be of pure gold. 39 It, and all these utensils, shall be made from a talent of pure gold. 40 And see that you make them according to the pattern for them, which is being shown you on the mountain. 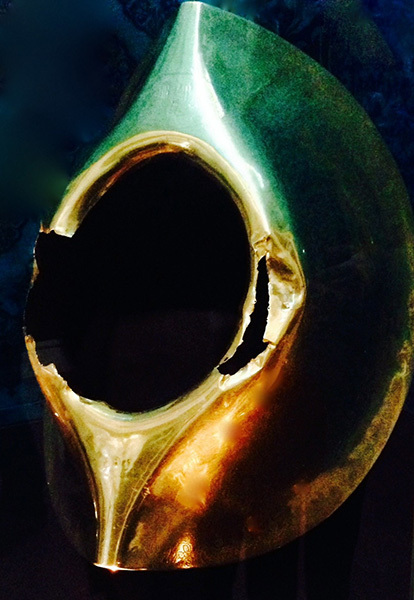 The Ark of the Covenant became a talisman for those worthy to possess it, such as the Israelites, and a curse for those deemed unworthy, such as the Philistines, who acquired it in battle and were soon overcome with misfortune, prompting them to return it as if it were a defective product under warranty or an abandoned pet. 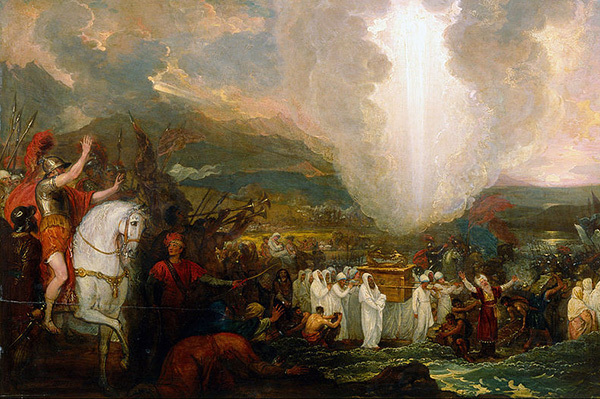 The scriptures describe the Ark of the Covenant as having magical powers, such as drying the River Jordan so that the Israelites, led by Joshua, could progress toward the Promised Land. It also facilitated the capture of the city of Jericho, where it was paraded around the city’s notorious walls until they collapsed at the sound of rams’ horns. It was also said to bring death to many who gazed upon it, touched it, or did not exhibit sufficient respect while near it. In several instances it was carried into battle, as both a talisman and weapon, although its presence was not always lucky. The process of establishing a permanent home for the travelling temple started with King David, a descendent of Jesus, and the second king of the united kingdom of Israel and Judah (circa 1010–970 BCE), who composed much of the Book of Psalms. Interestingly, Psalm 104 is virtually identical to the Egyptian King Akhenaten’s The Great Hymn to Aten, which was written much earlier. This curiosity notwithstanding, David is perhaps best remembered as the King who returned the Ark of the Covenant to Jerusalem, even though it was his son, King Solomon, who built the First Temple in Jerusalem. Solomon’s Temple, as it is known, included the Holy of Holies, a peculiar cube-shaped chamber (twenty cubits by twenty cubits by twenty cubits) in the western-most corner of the temple that housed Solomon’s most sacred treasures. Shishak (circa 943-922 BCE) is mentioned in Steven Spielberg’s, Raiders of the Lost Ark as the pharaoh who seized the Ark of the Covenant from the Temple of Solomon during his raids on Jerusalem, and hid it in a cave known as the Well of Souls in Tanis, an ancient settlement in Egypt’s north-eastern delta. While no mention is made of the Ark of the Covenant, this may be because it so closely resembled the wooden chests, with carrying poles, that had been used in Egypt for thousands of years.
. . . took all the holy vessels of the Lord, both great and small, and the ark of God, and the king’s treasures, and carried them away into Babylon. It is possible that the Ark of the Covenant was never taken into Egypt, or even Babylon, despite the claims. Proponents of the theory believe it was substituted with another ark or proactively removed and hidden under the Temple Mount, and thus remained in Jerusalem. In other words, the Babylonians either made it up out of bravado or were hoodwinked into believing they had taken the real ark; similar to when Scotland returned the Stone of Scone to England after substituting it with an imitation. But is this just wishful thinking? As for King Solomon, he was renowned for his wisdom. Surely he would have implemented an emergency protection plan for his most sacred relic, and the rest of his treasures, should the temple come under threat of siege. Efforts to create a Second Temple resumed circa 521 BCE under Darius the Great (550–486 BCE), the third king of the Persian Achaemenid Empire, and were completed during the sixth year of his reign. While various texts confirm that the Menorah, the Table of Shewbread and the golden altar of incense were present in the Second Temple, no mention is made of the Ark of the Covenant, the Tablets of Stone (Ten Commandments), the pot of manna, Aaron’s rod, the divination objects known as Urim and Thummim that comprised Aarons breastplate, and the holy oil and sacred fire. Although these artifacts may have survived, we never hear from them again. 4 These same records also tell us that Jeremiah, acting under divine guidance, commanded the Tent of the Lord’s Presence and the Covenant Box to follow him to the mountain where Moses had looked down on the land which God had promised our people. 5 When Jeremiah got to the mountain, he found a huge cave and there he hid the Tent of the Lord’s Presence, the Covenant Box and the altar of incense. Then he sealed up the entrance. 6 Some of Jeremiah’s friends tried to follow him and mark the way, but they could not find the cave. 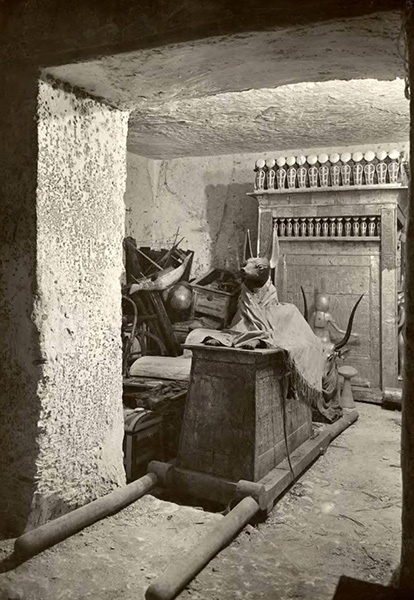 Clearly, the text suggests that the Ark of the Covenant was hidden in a cave on Mount Nebo and that even back in the day those who knew the area well could not find it. [He] saw what was reposited therein, the candlestick with its lamps, and the table, and the pouring vessels, and the censers, all made entirely of gold, as also a great quantity of spices heaped together, with two thousand talents of sacred money. Yet did not he touch that money, nor any thing else that was there reposited; but he commanded the ministers about the temple, the very next day after he had taken it, to cleanse it, and to perform their accustomed sacrifices. Pompey did not harm the Temple or remove its fixtures (allegedly), but nine years later Crassus (115 BCE-53 BCE), a Roman general and politician who played a key role in the transformation of the Roman Republic into the Roman Empire, plundered the temple of all its gold; but there was no mention of particular artifacts, let alone the Ark of the Covenant. And finally, in the last act of plundering before Christ, Herod the Great (73 BCE-4 BCE), a Roman King of Judea, burned some of the cloisters about the courts, but did not otherwise harm the Temple during his siege of Jerusalem. Come 70 CE, Rome once again laid siege to Jerusalem, only this time it was an attack of epic proportions. 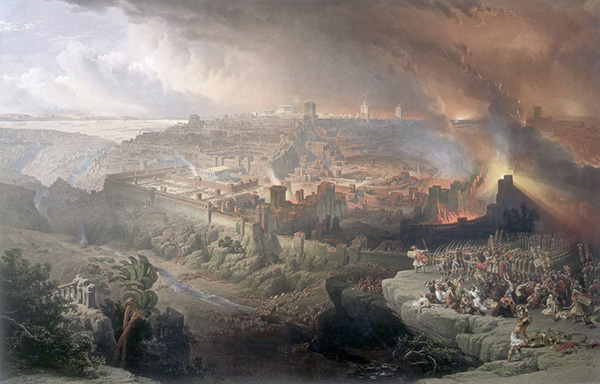 Led by the future Emperor Titus (39 CE-81 CE), the siege ended with the brutal sacking of the city and the utter destruction of the Second Temple. 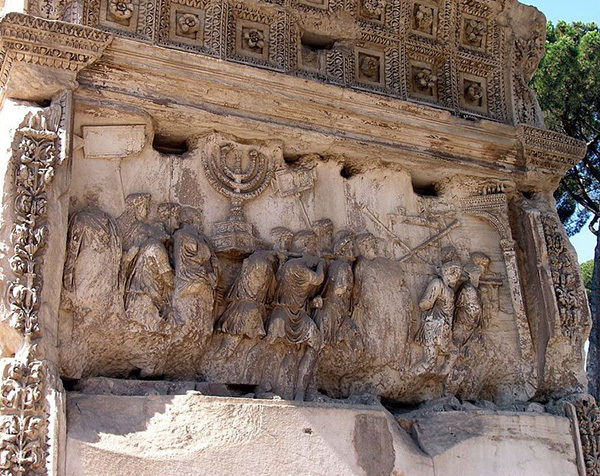 The Roman army triumphantly returned to their capital with the Treasures of Solomon, and commemorated the event by constructing the Arch of Titus, which displays the ‘Spoils of Jerusalem’ in vivid detail. The Arch of Titus is said to depict a first-hand account of the procession of the treasures through Rome and, conspicuously, it does not portray the Ark of the Covenant. It does, however, feature the Menorah, one of the prize possessions from the First Temple, thus confirming that relics from Solomon’s Temple were successfully hidden from the invading Egyptians in 925 BCE, and the Babylonians in 587 BCE, unless of course they created new versions of the ones they lost. This begs the question: was the Ark of the Covenant also hidden during the raids on the First Temple? If so, did the Romans take it, but keep it under wraps, given the political and perceived religious ramifications of removing the ‘throne of god’ from its rightful owners and home? There are more theories about the current whereabouts of the Ark of the Covenant than Paris Hilton has lovers. Many think it remains hidden beneath the Temple Mount, a holy site in Jerusalem that has been worshipped for thousands of years by Judaism, Christianity and Islam, and which features the Dome of the Rock. Others believe that the Knights Templar discovered it there during the Crusades. In fact, many feel that reclaiming the Treasure of Solomon from beneath the Temple Mount (otherwise known as looting) was the true quest of their mission, and that protecting the faithful on their pilgrimage to Jerusalem was merely a facade. The theory is plausible, for around 1120 CE, the King granted the Knights Templar a headquarters in a wing of the royal palace on the Temple Mount in gratitude for their pledge to protect the pilgrims who were getting slaughtered on their way to the Holy Land. 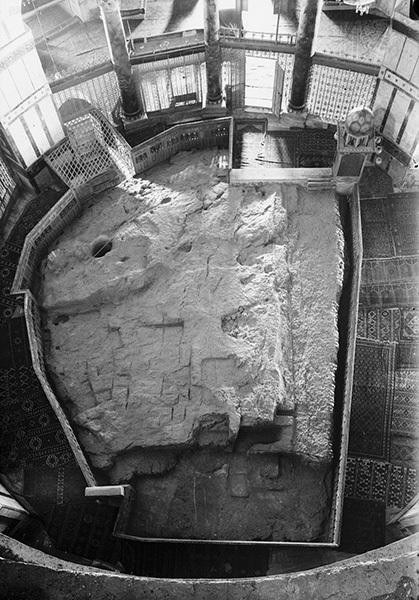 However, the arrangement seems too neat and tidy, for the Temple Mount is situated above what are believed to be the ruins of the First Temple, suggesting that this was their motivation from the start. Another theory comes from bestselling author, Graham Hancock, whose book, The Sign and The Seal, chronicles how the Ark of the Covenant was taken to Egypt around 650 BCE and was housed in a temple in Elephantine for a couple of hundred years before it was sent to Ethiopia, where it was kept on the Jewish island of Tana Qirqos for a further eight hundred years, before finally being taken to the capital city of Axum in the fifth century, where a priest of the Ethiopian Orthodox Church presides over it today. Still others, such as the historian Graham Phillips, argue that the Knights Templar took the Ark of the Covenant to the true Mount Sinai, in the Valley of Edom, where it remained until the 1180s, when Ralph de Sudeley (?-1192 CE), the leader of the Templars, found the Maccabean treasure at Jebel al-Madhbah, a mountain at Petra, present-day Jordan, and brought it back to his estate at Herdewyke in Warwickshire, England. Not surprisingly, theories about the Ark of the Covenant’s whereabouts include Rennes-le Château, a Pyrenean village in the south of France where a priest is believed to have discovered a great religious secret in the late twentieth century and where local churches feature images of the Ark of the Covenant. They also include the Hill of Tara in Ireland, the United States, and even Rome’s basilica of St John Lateran, where it allegedly survived the pillages of the Visigoths and Vandals, only to be lost when the basilica burned. Oddly, none of the popular theories include the one that boasts the last historical reference to the Treasures of Solomon: Constantinople, modern day Istanbul, in Turkey. The Roman Siege of Jerusalem in 70 CE is a historically corroborated event which suggests that sacred relics were removed from Jerusalem and taken to Rome, and thus we need to examine the subsequent sieges of Rome in order to understand where the Treasures of Solomon may have gone next. The first siege of Rome after its looting of Jerusalem was in 410 CE by King Alaric (375–410 CE) of the Visigoths, a Germanic people who settled west of the Black Sea. Although the siege was decisive, the Visigoths had systematically marched on Italy for about a decade, and had even attempted to take Rome the previous year. Thus, there was hardly an element of surprise when they finally sacked the city. The fact that Rome would have had ample time to hide, and otherwise secure its more valued treasures, coupled with the fact that the Visigoths were only looting in Rome for three days, makes one wonder how much they actually were able to amass in terms of real treasure. Having settled in their new kingdom, straddling the Pyrenees, the Visigoths established their capital at Toulouse, and created well-fortified centres of power at Toledo, Carcassonne and Rhedae, now the little hilltop village of Rennes-le-Château. Evidence that the Visigoths had possession of an immense treasure is borne out not only by the Guarrazar artifacts, but from commentators and historians including Procopius, El Macin, Fredegaire, and the Englishman, Gibbon. That this included the spoils of Rome is confirmed by their references made to the Missorium, a magnificent jewel-encrusted golden plate weighing about 100 pounds, and also to the Emerald Table with its gold stands and pearl inlay. The intriguing thing about the Visigoths returning with their Treasures of Solomon to this part of France is that not only is this region where we find Rennes-le-Château, it is precisely where the legends of Parzival, grail castles and Cathars have flourished for hundreds of years. 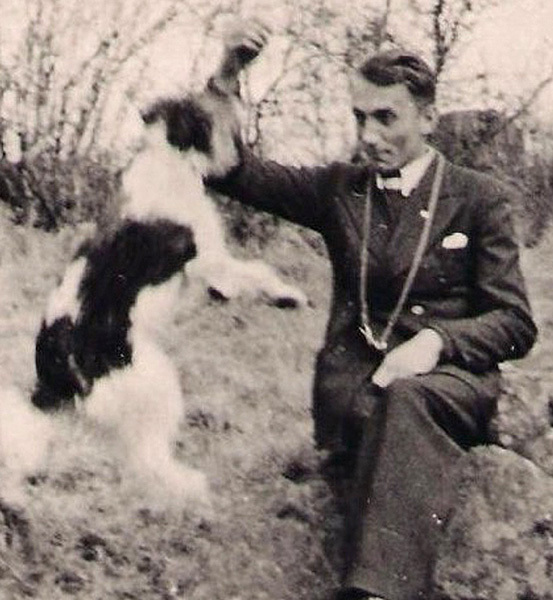 In fact, the consummate Grail hunter, the reluctant Nazi, Otto Rahn (1904–1939), literally bet his life that this was the province described in Wolfram von Eschenbach’s grail romance, Parzival. If wrong, Rahn would have to answer to Heinrich Himmler and Adolf Hitler, who had sent him on a mission to find the grail and substantiate the belief that Germany’s origins were both ancient and Aryan. So, this is where Rahn placed his bet and wagered his reputation, and his life. 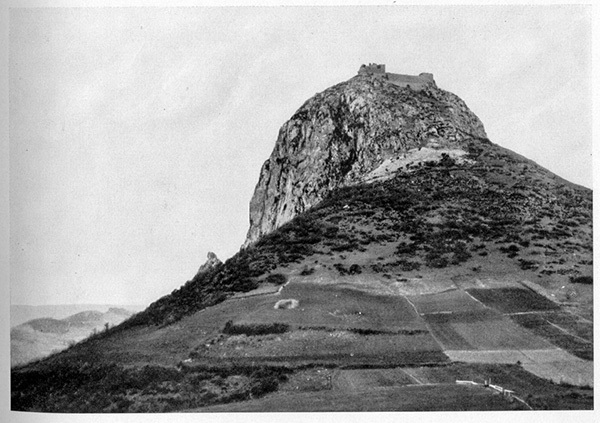 Sure enough, in the vicinity of the old Visigoth kingdom is Montségur, the Cathar fortress that Rhan identified as Eschenbach’s Grail castle, Munsalvaesche, the ‘Mountain of Salvation’. Here, we find legends of the Visigoth King Roderic (?-712) searching for Solomon’s treasure in the colossal cave network of Lombrives. While in the care of the hermit Trevizent, Roderic discovered an emerald table and a chest containing three cups. Curiously, Trevizent is the name of the hermit who initiates Parzival in Eschenbach’s story. This is especially intriguing, given that Eschenbach never wrote fiction, only history. Further, Eschenbach claims that the troubadours, the composers and performers of Old Occitan lyric poetry during the Middle Ages, preserved the story in their repertoire. Could a portion of the Treasures of Solomon be the source of today’s grail legends, as recounted by the troubadours to Eschenbach? 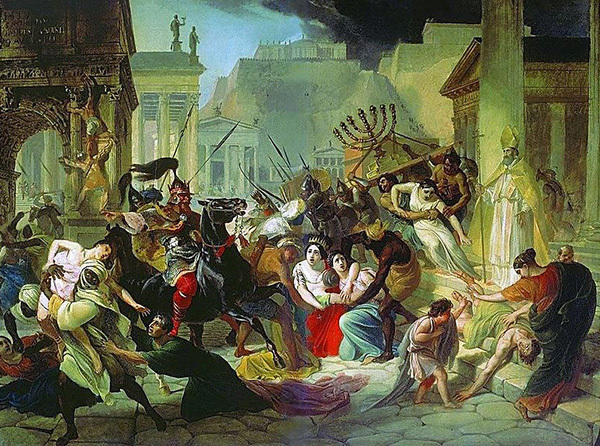 A further significant sack of Rome occurred in 455 CE by the East Germanic tribe, the Vandals, and was far more devastating than the three-day Visigoth assault forty-five years earlier, for the Vandals pillaged the city for fourteen days. In fact, the Vandals so thoroughly plundered Rome that their efforts, such as stripping away the gilt bronze roof tiles of the Temple of Jupiter Optimus Maximus, gave rise to the word vandalism.
. . . placing an exceedingly great amount of gold and other imperial treasure in his ships sailed to Carthage, having spared neither bronze nor anything else whatsoever in the palace . . . and among these were the treasures of the Jews. Taking all the money and adornments of the city, he loaded them on his ships, among them the solid gold and bejewelled treasures of the Church and the Jewish vessels which Vespasian’s son Titus had brought to Rome after the capture of Jerusalem. Having taken the empress Eudoxia and her daughters, he sailed back to Africa. Off went the treasure to Carthage, Tunisia, where the Vandals had established a kingdom from the fifth century CE. The fact that Rome had chased the Vandals all the way back to North Africa, albeit in vain, confirms how desperate they were to recover their immense loss. During the final months of the construction of Hagia Sophia, an ambitious renovation project that had commenced five years earlier, the Emperor Justinian was not allowed to enter – not until it was finished. When he was finally allowed to view it, his wonderment would have been similar to what visitors experience today, for the unfathomably breathtaking building remains the grandest place of worship on earth and was the largest cathedral on the planet for a thousand years, usurped only by the cathedral in Seville, Spain, in the early sixteenth century. Justinian’s relief in seeing the phoenix risen was due to the fact that the last church on this spot had been destroyed on his watch, and was mostly his fault. 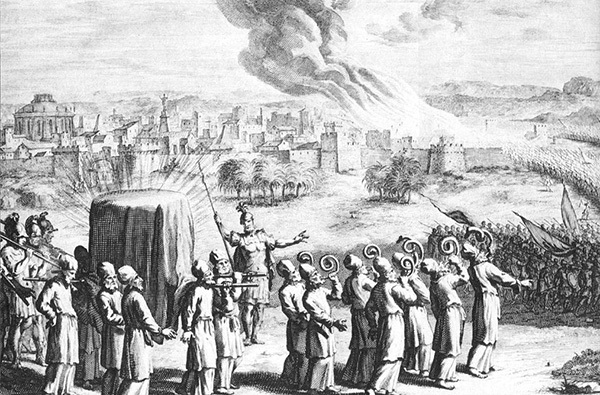 The Nika Riots of 532 CE rocked Constantinople like no revolt before or since, and the week-long rebellion, which developed when conflicts amongst chariot racing teams known as the Blues (who believed that Christ had two natures – human and divine) and the Greens (who insisted that Christ had only one nature – divine) escalated into a full-on mutiny of Justinian and reduced most of the city to embers, including Hagia Sophia. The hero, as was so often the case during Justinian’s reign, was his general Flavius Belisarius (505-565 CE), who quashed the revolt and saved the Emperor’s proverbial bacon for the umpteenth time, when he and his army raided the hippodrome and slaughtered thirty thousand of the upstarts (mostly supporters of the Greens), who were in the process of appointing a new Emperor. Needless to say, Justinian supported the Blues. Justinian was mortified that Hagia Sophia had been destroyed, but this was not the first time that a church on this site had been flattened by riots. The first had been constructed around 360 CE and served as one of the principal churches of the Byzantine Empire until it burned to the ground in 404 CE following a revolt. The second church was constructed on the orders of Theodosius II, the Eastern Roman Emperor from 408 to 450 CE, who inaugurated it on 10 October 415 CE. (This was the church that the Nika riots burned to the ground.) History had underscored the vulnerability of previous building projects. The next one would have to be different, and better. Perhaps the third time would be the charm. In North Africa skirmishes between the Vandals and the Roman Empire reached a critical juncture when Hilderic (460s-533 CE), the Vandal king most tolerant towards the Catholic Church, was overthrown and imprisoned. With this betrayal, Justinian declared war in the hope of restoring Hilderic to the Vandal throne. However, in 533 CE the new Vandal king had Hilderic murdered, and this calculated act would not be without consequences. Justinian’s armies, commanded by Belisarius, descended on the Vandal capital of Carthage, Tunisia, and took the city. Shortly afterwards, on 15 December 533, Belisarius’s men delivered the final blow at The Battle of Tricamarum, some thirty miles west of Carthage, forcing the Vandals to retreat within weeks, in early 534 CE. There is a curious passage in his Secret History where Procopius reveals the mindset of those in power with respect to treasure hoarding. Procopius recounts how Belisarius discovered his wife in a sexually compromising position with their recently adopted son, scantily clad in an underground room in Carthage. Her brazen excuse for having been busted was illuminating: ‘I came here with the boy to bury the most precious part of our plunder, where the Emperor will not discover it.’ Hmm. That would be the Ark of the Covenant, the Menorah, or a similar relic the Vandals had stolen from Rome. Although her alibi was a spontaneous and clever deflection to protect her reputation, it reveals the mentality of the military elite at the time: that the best bits of treasure may not have been returned to Justinian. 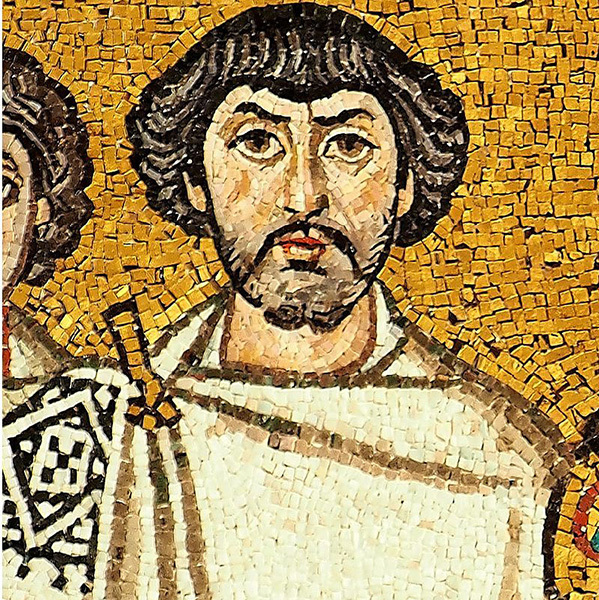 The infidelity of his wife aside, Belisarius was a hero, and not only for restoring the Vandal-ruled lands of North Africa to the Imperial Kingdom, but also for returning the Treasures of Solomon to Constantinople, sacred relics that had been looted from Rome eighty years previously. For his valour (never mind what treasures he and/or his wife may have taken for themselves), Belisarius was presented with the ‘Roman Triumph’, a civil ceremony and religious rite of ancient Rome that was held to publicly celebrate the success of a military commander who had led Roman forces to victory. Belisarius’s Roman Triumph was the last Rome ever gave. And there was booty – first of all, whatever articles are wont to be set apart for the royal service – thrones of gold and carriages in which it is customary for a king’s consort to ride, and much jewelry made of precious stones, and golden drinking cups, and all the other things which are useful for the royal table. And there was also silver weighing many thousands of talents and all the royal treasure amounting to an exceedingly great sum, and among these were the treasures of the Jews, which Titus, the son of Vespasian, together with certain others, had brought to Rome after the capture of Jerusalem. And one of the Jews, seeing these things, approached one of those known to the emperor and said: ‘These treasures I think it inexpedient to carry into the palace in Byzantium. Indeed, it is not possible for them to be elsewhere than in the place where Solomon, the king of the Jews, formerly placed them. For it is because of these that Gizeric captured the palace of the Romans, and that now the Roman army has captured that the Vandals.’ When this had been brought to the ears of the Emperor (Justinian), he became afraid and quickly sent everything to the sanctuaries of the Christians in Jerusalem. Are we expected to believe that Justinian returned the greatest treasures of the ancient world to Jerusalem because he was afraid? Really? Or was it Procopius’s intent to insult Justinian by suggesting that he was frightened, and that he returned the relics out of weakness? Perhaps it was even a public-relations stunt to create misdirection and mask the fact that Hagia Sophia was, in 534 CE, three years away from completion. What better way to honour it than to house within it relics worthy of the world’s greatest temple? When contemplating whether Justinian would have returned the Treasures of Solomon to Jerusalem, it is worth considering the extreme weather events of 535-536 CE, for not only were they the most severe and protracted episodes of cooling in the northern hemisphere for two thousand years, they immediately preceded the opening of Hagia Sophia in 537 CE. No one knows for certain what caused the event (comets and/or volcanos being the most popular explanation), but what we do know is that its impact was global and catastrophic. During this year a most dread portent took place. For the sun gave forth its light without brightness . . . and it seemed exceedingly like the sun in eclipse, for the beams it shed were not clear. Crop failure and famine were reported around the world, from Ireland to Peru and Indonesia to Scandinavia, where the blackening of the sun resulted in the deposition of hoards of gold by Scandinavian elites, presumably as a sacrifice to appease the gods, so that they returned the sun. In Constantinople, the extreme weather event triggered the first-recorded instance of bubonic plague, called the Plague of Justinian, and Procopius reported that at its peak the plague was killing ten thousand people a day. The question remains: had Justinian already returned the Treasures of Solomon to Jerusalem? If not, would the psychological impact of the plague (one of the worst in history) prompt him to do so? Let us recap. Belisarius returned the Treasures of Solomon to Constantinople in 534 CE. The dramatic weather event that clouded the sun occurred the following year, in 535 CE. 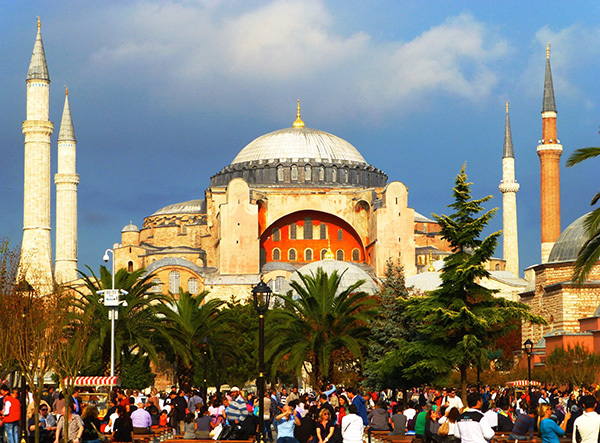 Hagia Sophia reopened in late 537 CE and by 541 CE Constantinople was besieged by plague. If Justinian had kept the Treasures of Solomon and not returned them prior to opening Hagia Sophia, then the question is this: five years later, in 542 CE, when the plague was at its worst and there was superstitious fear that he had caused this devastation by not returning the sacred relics, would he have had this weighing heavily on his mind? Or would he have embraced the relics and viewed them as talismans that would protect him against the plague, which he did survive? We may never know for certain, but the impact of the extreme weather event has rarely been factored into a discussion on the fate of the Treasures of Solomon. Few think of Istanbul (modern-day Constantinople) when they think of history’s greatest treasures, but that is precisely what we find when we explore the city’s vast collection of museums, churches, mosques and palaces. One little-known legend of treasure involves the Column of Constantine, constructed on the orders of the Roman Emperor Constantine the Great (272–337 CE) in 330 CE, complete with a statue of Constantine as Apollo on its apex to commemorate the declaration of Byzantium as the new capital city of the Roman Empire. Not only did the statue of Apollo contain a fragment of the True Cross, but its base was a sanctuary containing relics from the crosses of the two thieves who were crucified with Jesus Christ at Calvary, the baskets from the loaves and fish miracle, an alabaster ointment jar belonging to Mary Magdalene (and used by her for anointing the head and feet of Jesus), and the palladium of ancient Rome, a wooden statue of Pallas Athena from Troy. Today, Istanbul’s over-ground train runs alongside the column, so any treasure that was hidden beneath has long been recovered. 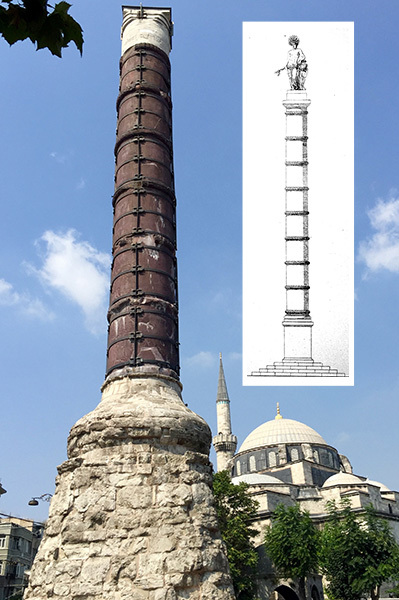 Nevertheless, the Column of Constantine underscores how Constantinople had become a magnet for religious relics from a very early epoch. 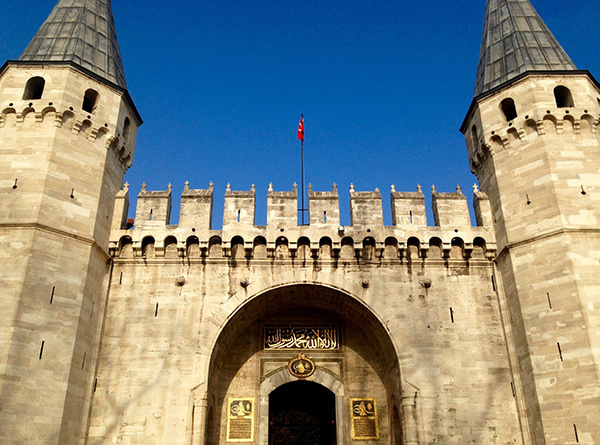 A fifteen-minute walk from the ignored (if not entirely forgotten) Column of Constantine is a far more popular tourist attraction: Topkapi Palace, one of the major residences of the Ottoman sultans for almost four hundred years (1465–1856 CE). Here we find thePrivy Chamber, also known as the Chamber of the Mantle of Felicity, which was built under Sultan Mehmet the Conqueror (1451-1481 CE) as a private mansion for the Ottoman sultans, and which houses some of the greatest religious relics in the world. The Pavilion of the Holy Mantle was constructed by Mimar Sinan (1489-1588 CE), the master builder of the Ottoman Empire, and was built over an earlier Temple of Poseidon. The relics inside, in the Privy Chamber, are astonishing and even the Sultan, who was the only person trusted with the key, was only allowed to view them once a year, on the fifteenth day of Ramadan. They remain the holiest relics on earth. No photos are allowed in the Privy Chamber, and a prescribed visit leads the visitor counter-clockwise past the Hall of the Fountain and into the Destimal Chamber, a room containing the Staff of Moses, Abraham’s Pot, the sword of David, the Prophet Muhammed’s (enormous) footprint, scrolls of John, the turban of Joseph and many other relics. This is the first room, the warm-up if you will for the Chamber of the Sacred Relics that will come later – as if these treasures weren’t sacred. Next, the visitor is directed through the Şadırvanlı Sofa room – the central room of the Privy Chamber, which features artifacts from Mecca, such as the casing of the Black Stone (Hacerü’l-Esved), the keys to the Kaaba, the Kaaba’s gutter, and the Kaaba’s so-called Door of Repentance. The room also features the swords of Muhammad’s companions. 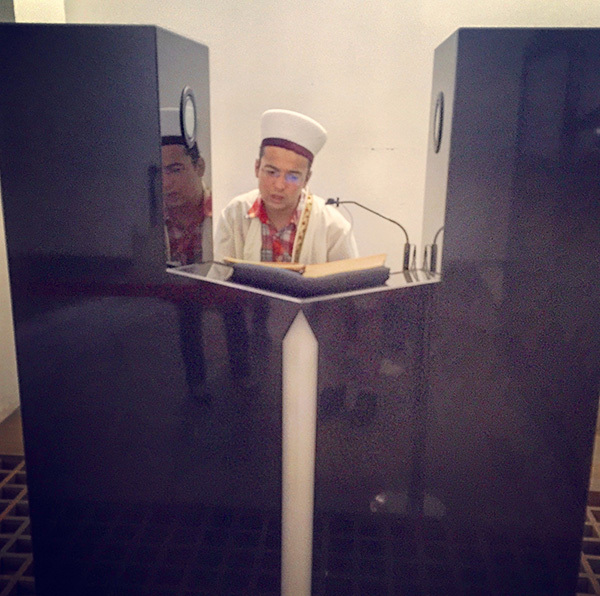 Visitors are then ushered into the Audience Chamber, also known as the House of Petitions, where there are more relics of Muhammad, including a piece of his tooth, hair from the beard, an autographed letter, as well as his swords and bow in their reliquary made by Ottoman goldsmiths. These particular treasures of Muhammad are known as the Sacred Trusts. The visitor is now aware that the atmosphere of the Privy Chamber has changed. All of a sudden there are armed guards with rifles and a station where holy men known as mufti, Islamic scholars who interpret and expound Islamic law, read from the Koran, in shifts, twenty-four hours a day, because what is in the room that you have just entered is significantly more holy than what you had just seen. 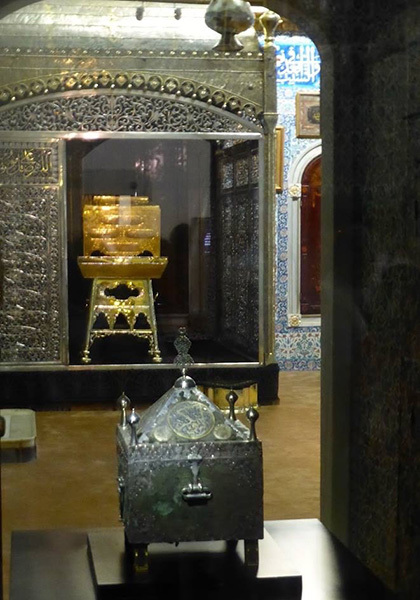 In the adjoining, glass-enclosed room is the Chamber of the Blessed Mantle, with a beautiful lattice silver canopy under which we find two fascinating relics: the Blessed Mantle and the Holy Banner of Muhammad, each of which is contained in an astonishing gold chest. One is instantly perplexed as to why these objects require the Koran to be read and why they warrant their own room and guards, when the other relics appear equally priceless. The sound of the Koran being read permeates the room, and the practice of reciting from it twenty-four hours a day was only started when Sultan Selim I (1465-1520 CE) brought the Holy Mantle here from Egypt in 1595. Its history is intriguing. The Holy Mantle, Hırka-i Şerif, or Burda, is an item of clothing that was given as a gift by Muhammad to Ka’b ibn Zuhayr, a seventh-century Arabian poet whose children sold it to Muawiyah I (602-680 CE), the founder of the Umayyad dynasty, the first great Muslim dynasty to rule the empire of the Caliphate (661-750 CE), sometimes referred to as the Arab kingdom. After the fall of the Umayyads, the Mantle went to Baghdad under the Abbasids and then on to Cairo under the Mamluks, before finally being moved to Topkapi Palace. The Holy (or Blessed) Mantle is almost two yards long and made of black wool lined with a cream-coloured fabric. Inside the gold chest the Mantle is covered by forty pieces of cloth called bohças, forty being an especially auspicious number in Islam, as well as one that is featured no less than one hundred and forty-six times in Biblical scripture, symbolising a period of testing, trial or probation. The word mantle is referenced in Joshua 7:21 and Hebrews 1:12, and Kings 19:13 confirms that prophets were known for wearing mantles as a sign of their calling from God. The Mantle was also viewed as a symbol of the Holy Spirit, the person who empowers God’s people to do God’s work, wrapped in God’s authority. Several people are mentioned as wearing a mantle, including Job (Job 1:20) and Ezra (Ezra 9:5), the author of the Macabees work that chronicles how the Ark of the Covenant was hidden on Mount Nebo by Jeremiah. The other relic that shares the Holy Mantle’s private abode, and guards, is what most consider to be the second most important relic in the Privy Chamber, the Holy Banner, also known as the Sacred Standard of Muhammad. The origins of the Ottoman acquisition of the relic are disputed, for it is unclear if it is the true banner of Muhammad, or just one from his era, or earlier. The intriguing thing is that the Holy Banner was often taken out into battle, as a talisman, just like the Ark of the Covenant was taken into battle. Records reveal that the Holy Banner was used in a battle against the Austrian Habsburgs in 1593 CE, and again for a war in Hungary in 1594 CE. 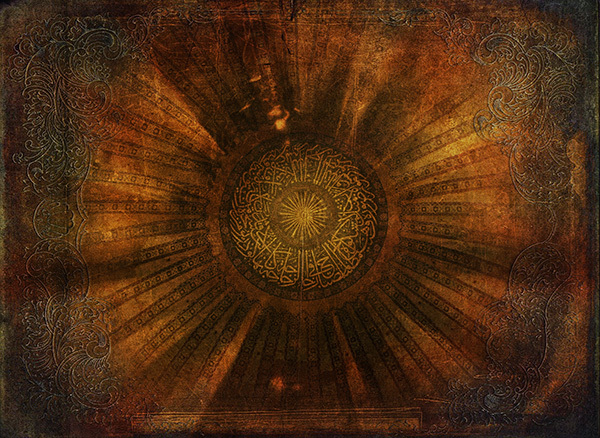 By 1595 it was in Topkapi and the following year Mehmed III (1566-1603 CE) took it into battle at the Siege of Eger and won, thus solidifying the banner’s symbol as a victory talisman for the Ottoman forces. After a battle, the banner was returned in the same ceremonial way that it had been extracted, with the Sultan carrying it back to the chamber and putting it into its box while Koranic chants and incense accented the occasion. What has always struck me as odd is how these two relics, as special as they are, could possibly be viewed as being more sacred than the rest of the treasures in the Privy Chamber, including even more personal possessions of Muhammad. The answer, I believe, has to do with what the Holy Mantle and Holy Banner are preserved in: audacious gold chests that look ancient, and very Solomonesque. In fact, one could be forgiven for thinking that the gold chest that encloses the Holy Mantle is the Ark of the Covenant. After all, when it was ‘acquired’ it prompted the addition of a special room, armed guards and holy men to read from the Koran. Nevertheless, the dimensions of the Ark of the Covenant, if they are to be believed, leave no doubt that the golden chest containing the Holy Mantle is too small to be the Ark of the Covenant, for scriptures tell us that it was approximately fifty-two inches long, thirty-one inches wide, and thirty-one inches high, and that appears larger than the Holy Mantle. It is worth nothing that the entire DIY manual for the Ark of the Covenant begins with the phrase, ‘The Lord said to Moses . . . ’ Without offending those who believe that ‘Lord’ refers to God, there are numerous examples of Biblical scriptures originating in Sumerian, Egyptian or other earlier texts, and suffering from various forms of mistranslation. I believe that the use of ‘Lord’ is one such mistranslation. For instance, there were two different Hebrew words for Lord: one meaning God and the other a more generic description of ruler. Without meandering too far off piste, I believe that the word ‘Lord’ in this instance refers to the Pharaoh of Egypt, King or Emperor. In fact, I believe that closer inspection would confirm that most applications of the word ‘lord’ in the bible do not refer to God, but to a ruler of one sort or another. The detailed dimensions of the Ark of the Covenant, as expressed in the Book of Exodus, are perplexing, for the rest of the bible is highly allegorical, while this is the only true literal description in the entire thing. What if the numbers expressed as the dimensions of the Ark of the Covenant provided by the ‘Lord’ were themselves a veiled secret, not the finished product? If neither of the gold chests are the Ark of the Covenant, could they be legitimate artifacts from the Treasures of Solomon? Might they have been engraved and reworked by Ottoman goldsmiths, but really date to the time of Solomon? The possibility seems reasonable, but what about other treasures in the Privy Chamber, might they be part of Solomon’s Treasures, too? In the New Testament, Hebrews 9:4 states that the Ark of the Covenant contained ‘the golden pot that had manna, and Aaron’s rod that budded, and the tablets of the covenant.’ What if this ‘golden pot’ was the so-called ‘Abraham’s Pot’, and what if ‘Aaron’s Rod that budded’ was the so-called Staff of Moses? After all, Aaron was Moses’ brother, and his rod is not only humble, and barren of ornaments, it contains offshoots or ‘budded’ elements that immediately catch the visitors eye. Are these relics from the Treasures of Solomon, but with different labels; names that have been selected to protect the fact that some of the surviving relics of Solomon’s Temple are hidden in plain view? Following on with this logic, surely other Treasures of Solomon, as looted by the Vandals and returned to Constantinople by Belisarius might be sitting in plain view in the Privy Chamber or amongst the artifacts at the nearby Archeological Museum, a fabulous gallery whose collection includes the sarcophagus of Alexander the Great amongst hundreds of other Solomonesque relics. Might the ‘tablets of the covenant’ be there as well, hidden in plain sight along with other ancient Hebrew and cuneiform tablets? Continuing with this thinking, one would not expect well-known treasures to be displayed, for they would be too recognisable. Essentially, these would include the objects that were featured on the Arch of Titus in Rome, relics such as the Menorah, the Table of Shewbread and the ritual trumpets, all of which have been engrained in our collective psyche and could be easily identified. The same goes for the Breastplate of Aaron and, of course, the Ark of the Covenant, which is probably the most recognisable relic of them all. Most of the spoils that were carried were heaped up indiscriminately, but more prominent than all the rest were those captured in the Temple at Jerusalem – a golden table weighing several hundredweight, and a lampstand, similarly made of gold but differently constructed from those we normally use . . . After these was carried the Jewish Law, the last of the spoils . . . Vespasian [Roman Emperor from 69 CE to 79 CE] made up his mind to build a Temple of Peace . . . There too he laid up the golden vessels from the Temple of the Jews, for he prided himself on them; but their Law and the crimson curtains of the Inner Sanctuary he ordered to be deposited in the Palace for safe keeping (Book VII, Chapter V . . . , 5-6; Translation by G.A. Williamson, 1959, pp385-6). Here we have references to ‘laws’ (possibly tablets), golden vessels and tables (like we see in the Privy Chamber and the Istanbul Archaeology Museum) and ‘crimson curtains of the Inner Sanctuary’, which sound similar to both the Holy Mantle and Holy Banner. Are the Treasures of Solomon now interspersed with the relics of the Ottoman Empire? If we are to trust Procopius, a historian who lived with those he chronicled, then we must consider the possibility that the Treasures of Solomon were last seen in Istanbul. The question remains: did they include the Ark of the Covenant? 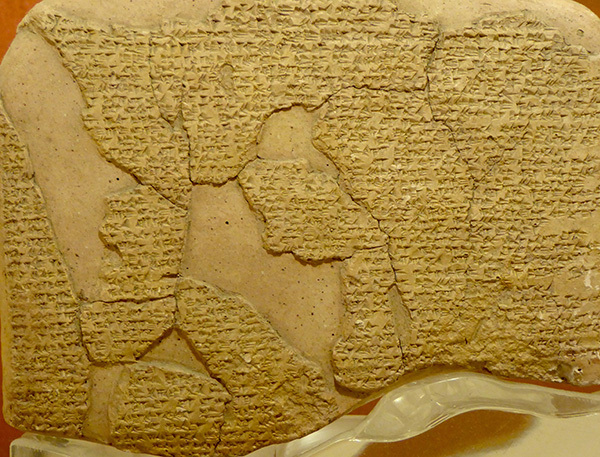 All indications are that it was hauled off to Babylonia when the First Temple was sacked in 586 BCE. However, if it did survive the Babylonian attack, like the Menorah did, the question is, did the Romans acquire it in 70 CE, but conceal the fact that they had it? If (and it’s a big if), but if the Vandals then took the Ark of the Covenant from Rome to Carthage, did it ultimately find its way to Constantinople? Or did Belisarius’s wife hide it in in the cellar of a temple in Carthage for her and her lover? We may never know, but the odds of this happening are slim to none, frankly. But what about Solomon’s other treasure? If we presume that some of the original Treasures of Solomon did, in fact, make it to Istanbul, as Procopius proclaims, were they returned to Rome by Justinian? If they were returned to whence they came, then there is no record of this event. One would expect there to be an account of the celebration that ensued when the ancient relics had been reunited with their homeland. And if the Ark of the Covenant was anywhere to be found, then surely they would have created the Third Temple to honour it and the other treasures – but there is no record of any of this. We do know that in 614 CE Jerusalem was captured by the Persians, who, according to Antiochus Strategos, a seventh-century monk who witnessed the event, slaughtered its Christian inhabitants, sacked the city and left with the True Cross. Strategos adds that they ‘began with their own hands to demolish and burn such of the holy churches as were left standing.’ Thus, if the Treasures of Solomon were returned to Jerusalem, then they were probably destroyed anyway or, in the best case scenario, hauled off to Persia. After the great earthquake of 25 October 989 CE, which collapsed the western dome arch of Hagia Sophia, Emperor Basil II (976 to 15 December 1025) commissioned its repair, a restoration that would take six years. At completion the church’s decorations were renovated, including the addition of paintings of four immense cherubs, reminiscent of the cherubim that protected the Ark of the Covenant. While there were no cherubim in the Second Temple, there were, according to some accounts, cherubim painted on its walls. 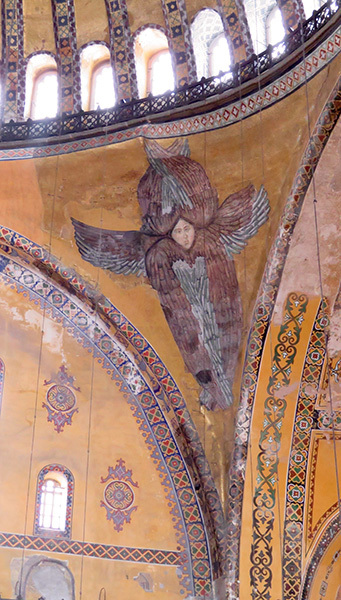 If the Ark of the Covenant had survived, and remained hidden in Hagia Sophia, or if they wanted to honour whatever relics of Solomon they did possess, then adding the cherubim would have been a fitting way to commemorate the fact, and to guard against future natural disasters. After all, cherubim have long symbolised protection, as they are the heavenly creatures that stand nearest to the throne of God. If the Treasures of Solomon did remain in Constantinople, there is also a good chance that they were looted. 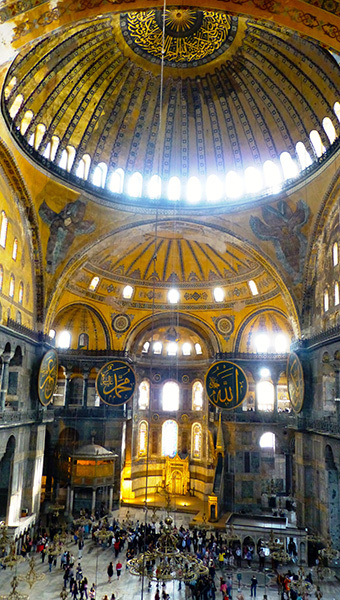 During the Sack of Constantinople in 1204, Latin Crusaders vandalised valuable items in every important Byzantine structure of the city, including the golden mosaics of Hagia Sophia, and many of these items were shipped to Venice. Might the Treasures of Solomon be in Venice today? It is possible. Constantinople was seized by the Ottomans on 29 May 1453, a date cemented into the psyche of every Turkish school student. It is difficult not to feel utter remorse for what happened next, but what followed was simply the norm of the day, as reprehensible as it seems today. I speak of Sultan Mehmet II (1432 to 1481 AD) who, in accordance with the custom at the time, allowed his troops three days of unbridled pillage of the city. When they were done, he claimed its contents for himself. Hagia Sophia was not exempt from the pillage of 1453 and was, in fact, the focal point, as the invaders believed it to contain the greatest treasures in the city. What followed was carnage, and if the Treasure of Solomon were hidden in the church, it would have been trembling with fear, as it had so many times before. Throughout the siege worshippers participated in Holy Mass, but the reality was that they were trapped in the church. There was no escape. Hagia Sophia was desecrated and looted and its occupants were massacred. Those whose lives were spared were enslaved, raped and sold into slavery. 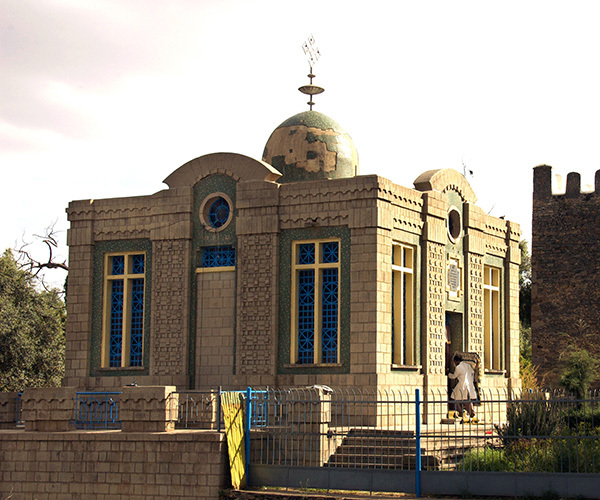 Abruptly, when the Sultan finally did visit the church, he immediately transformed it into a mosque. Following this conversion many of its mosaics were covered with plaster, due to Islam’s ban on representational imagery. However, between 1847 and 1849 CE the building was restored by two brothers who documented the mosaics that had been covered over. This included the mosaics of the cherubim. Sadly, the brothers had to cover their faces once more, as part of the restoration. Fortunately, the cherubim are in full view today, as (I suspect) are some of Solomon’s Treasures. I suggest you keep your eyes open. Remember, the Treasures of Solomon were well travelled. Some of these remarkable relics might be in a museum near you.